My wife was solely responsible for ordering a genetic testing kit through National Geographic which they named the Genographic Project. To begin with I couldn’t see what this would achieve except increase the income of an organisation which has a corporate identity and begins each analysis underpinned by an assumption, the Out-of-Africa theory, which is in contradiction with all Original historical accounts. What only added to my concerns was the kit and brochures we received in the post soon after. I could tolerate the discomfort ramming a swab up the inside of my cheek for close to a minute, but had a lot more trouble digesting some of literature supplied in a glossy booklet titled “Geno 2.0 Your story. Our Story. The Human Story.” What wasn’t provided in this snappy caption was whether this was a “story” based on fact, fiction or supposition. It is our belief it is a clumsy hybrid of all three. 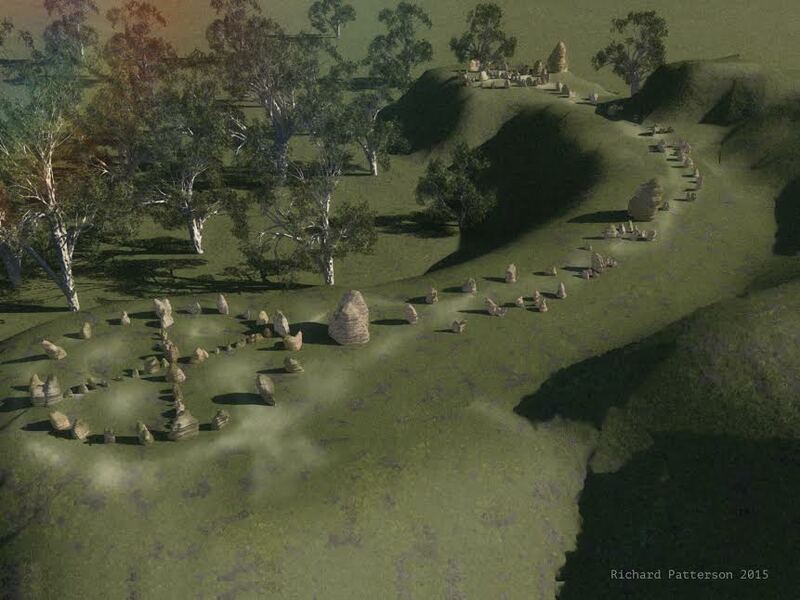 Under the banner of “The Human Story,” a map and time-line is supplied, and it appears if consulting this diagram that Australia was first settled some 50,000 years ago by African adventurers. The problem with this assumption is twofold. 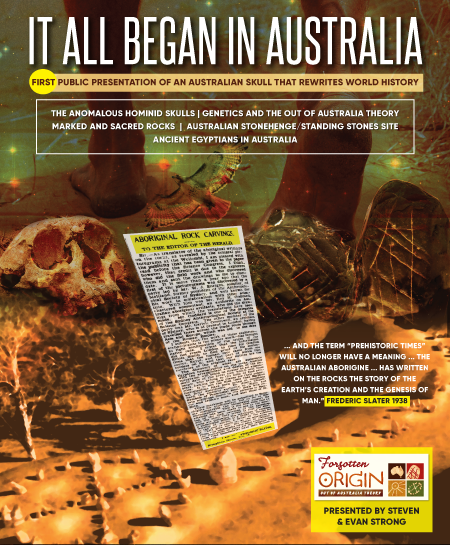 There are ten sites in Australia with claims of human occupation before that date, and even more relevant was the most recent announcement of the first intensive study of the Original genome which was found to be at least 75,000 years old. What this means is that according to the most genetic recent study mainstream science is adamant the Africans who supposedly settled in Australia, left Africa 75,000 years ago, but my map compiled by National Geographic denies this and subtracts 25,000 years. Who to believe? Since my wife paid $200 for the kit and it all looks so flash, we will start in National Geographic’s corner and see how round one eventuates. And what a ‘dog’s breakfast’ that turned out to be. It all began in a benign fashion when itemising “what percentage of your genome is affiliated with specific regions.” I was more than a little perturbed when observing that amongst the “specific regions of the world,” that one continent (Australia) was omitted. Nevertheless, the results were in and my genes were now on their record with a very European flavour (Great Britain and Germany). In support of that geography my Neanderthal percentage of 2.1% fell into the typical European range. My family tree, with one ‘dark secret aside, is extremely European and this reading ran according to expectations. From that point onwards the analysis begins to fall apart at the genes. My Denisovan ancestry percentage was out of snyc, there is no way a score of 4.7% can fit into their modelling. That rate is extremely high, in fact too high to fit into any European tribe or any other racial group except the Indigenous people of Australia, Papua New Guinea and Melanesia. Before going any further there is need to pause and reflect on this Denisovan input, in particular the antiquity implied and inter-continental movement obligated with the appearance of another new type of hominid. 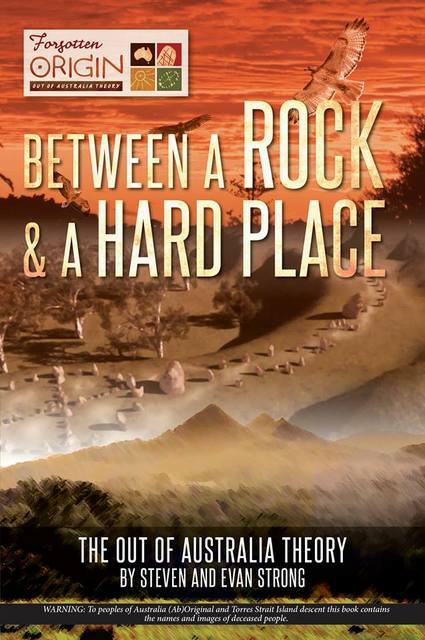 First thought to be restricted to an area near Siberia and dated to be in residence for between 96-16,000 years, further research and remains found in Spain not only extended the geography, but the date of close to half a million years created some irreconcilable problems in a continent far to the south. The incomplete narrative ‘experts’ have cobbled together when trying to accommodate for the recent appearance of yet another hominid is a contradictory pastiche. The claim is that the Denisovan hominids ranged across the entire Asian and European continent and had no genetic association with the Africans, yet are most closely aligned through mtDNA to the Original people of Australia, PNG and Melanesia. 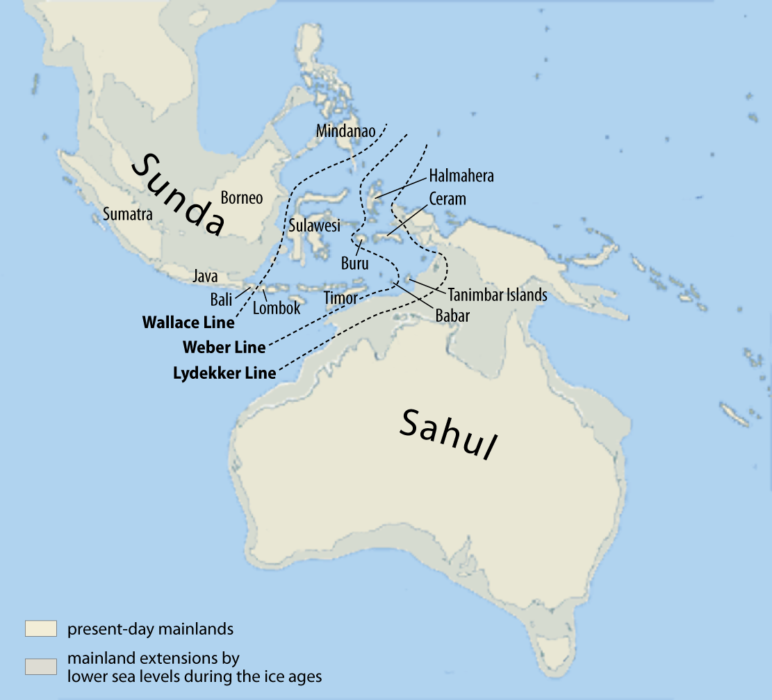 The problem is, according to their own theories there was no person living in Sahul (Australia and PNG) or Melanesia until 50,000 years ago. That being the case (which it isn’t) then the people who first sailed to Australia were African, and once settled no-one else came or went. Therefore, their genes should most closely resemble the Africans, but it is well known that the Original genes are least like the Africans. 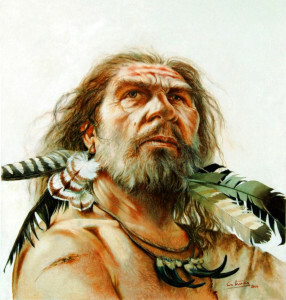 Then the question must be asked, how can there be any genetic link between Denisovan and Original hominids when the older group have no contact with Africa due to the distance and massive expanse of ocean? All the books confirm no species of hominid, except Homo sapien sapiens, can sail ocean-going boats across oceans. 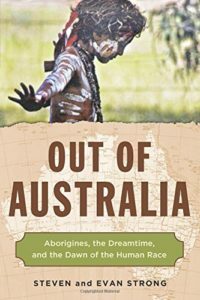 That condition is set in academic stone, and the example of African people reaching Australia is always cited as the first time humans made such a monumental journey. 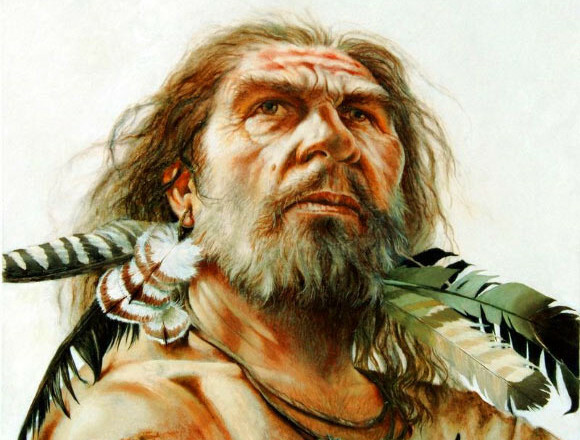 The dilemma this creates has led to a bizarre scenario where the ‘experts’ explained why the genetic connection was strongest with the Original and Melanesian people simply because the Denisovans sailed to Australia. This is an appalling piece of deduction, as they are literally making up our global history as they stagger forward! These same experts assure us the Denisovans are a lesser species of hominid and place them behind Neanderthals and Cro-Magnum Man in the ascending ladder of hominid intelligence, yet when it comes to the sophistication of boat building and language skills needed to convince others to step into any vessel that can sail thousands of kilometres to a destination unseen, the Denisovans are at least the equal of the Homo sapien sapiens. Do they have proof of a boat in Siberia or Spain built by Denisovans, evidence of the paraphernalia needed when sailing thousands of kilometres of open sea, or perhaps archaeology exhibiting the navigational and astronomical skills needed to sail the globe? And what of the sophistication of language needed to persuade any being to sit in a boat and leave behind all you know and treasure? The answer in every case is that none of these very sapien traits should be flourishing anywhere, and if it wasn’t for the incredibly high rate of shared genetics, no-one would have ever put forward such a ludicrous hypothesis that does not have a shred of evidence in support. I’m sorry but we have to call this excursion into fantasy what it is, poor research, bad reasoning and desperation to fit a square peg into a round hole. No matter how you try to adjust, fudge or ram into place, it just doesn’t fit. 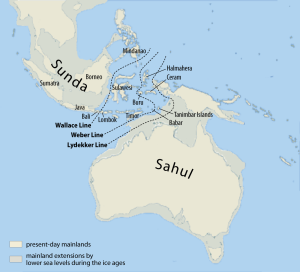 Of course the more logical and entirely consistent alternative explanation, that the Original Homo sapien sapiens of Sahul were sailing the world and made contact with the Denisovans in very ancient times make sense, but will not be spoken aloud in polite academic circles. It comes down to some simple facts, the Denisovans were wandering through the entire continent over 500,000 years ago and their closest genetic match does not yet exist for another 450,000 years. The experts agree this connection has to be intimate in every sense and that they actually met each other, yet also claim once these hypothetical African mariners reached Australia they never moved or sailed anywhere else. Those are there facts, never the Original truth, but the corner they are boxed into and the only way out is to elevate the Denisovans to a level well above the pedestal reserved for Homo sapien sapiens. This isn’t good science, nor is it good fiction, such lies and faulty logic will not plug up the leaks in a theory that has already sunk to the bottom and is gasping for breath. 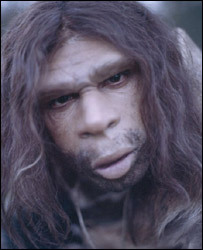 So if I do have 4.7% Denisovan genes, I cannot be European, Asian nor African, does that mean I am Original? The answer is definitely not, and there is no alternative. There are many people in Australia whose ancestry is a mixed bag. A family secret, three, maybe four generations back there is a name rarely spoken of, a person whose ancestry is lost beyond whispers of dark skin and general sense of shame. The genes may still be there in following generations, but of itself that counts for little. There is no current connection to tribe, clan, country or ceremony. The blood may be willing, but the soul and heart float in the ether. This state of suspension is not unheard of, even before the British Invasion there were Original people destitute of country, people or tribal lands and were considered by all to be lost for an eternity. For all intents and purposes despite their genetics they no longer had an Original identity. 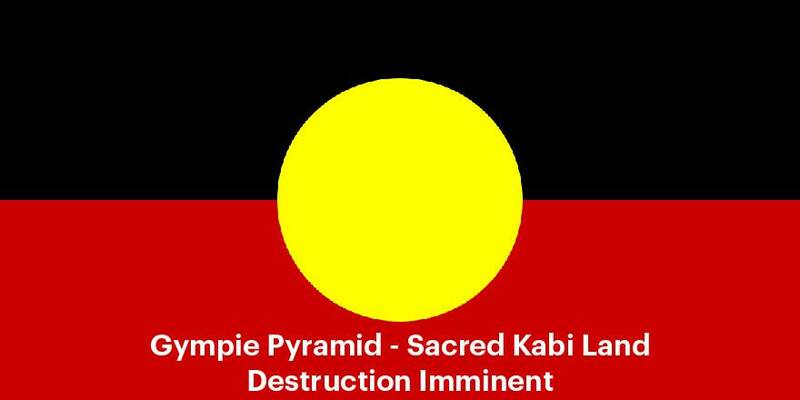 Those who committed the heinous crimes, who were convicted of offence to the Spirits, ceremonies or elemental tenets of the Law, were set free, forever. Banished from their tribal estate and contact with the tribe, their soul was lost. Without his or her country to reincarnate within, the soul can neither return home nor move on and is dammed to exist without country or companionship. Surely no punishment was worse and it would far more preferable to be executed on country, for the rights of passage to return and better oneself is still available. Without connection to country, people or culture the person who caused such grief is no longer an Original person, but trapped between worlds. That exile can spectate and die, but the cord to country is lost. At this stage of our reading of the results there are two opposing findings to ruminate upon, the first ascribes a European heritage and the second, an Original ancestry. Despite the contradictions there was no need to despair for genetic salvation was at hand. It is universally agreed amongst geneticists that the female genetic marker (mtDNA) is the most reliable. That being the scientific truth, the analysis of my mitochondrial DNA should resolve the stalemate and determine an origin. If only, the third reading throws everything into disarray, it would seem I am part of a genetic cul-de-sac that just like the square peg, doesn’t fit. A score of >0.1%, when describing the base upon which any genetic comparison can be made, can be readily interpreted as meaning my genes just don’t make sense when using their genetic baseline. With a claimed clientele of over half a million, this seems to be a tale of contradiction and sparsity, and just as it was those who could not comply to accepted social norms and were banished, it appears my genetic sentence is identical as I have no identity or place to call home. We noted that elsewhere in the explanations that the ‘scientists’ made reference to another “hominid” that may have a genetic input, but fall short in supplying a name or agreed percentage. Above and beyond that shortfall there is a fundamental flaw in location and origin that calls into question the entire kit and premise. Every Original Elder and Custodian of Lore is united, they came from this country from the beginning. On this issue they speak as one, when one Elder declares that “we have been here since the time before time began,”(2.) and then becomes even more prescriptive when reminding humanity that “all other peoples of the world come from us,”(3.) all other who know of such things nod their head in silent approval. Our latest book, Shunned, is primarily devoted to presenting supporting evidence found in mitochondrial DNA, Y Chromosomes, Genome patterns and skull morphology that also nominates Australia as the place where the genesis of Homo sapien sapiens first occurred. Faulty premises abound, unnamed hominids lurking in the genetic background, supplemented by claims I could be European, definitely couldn’t be European, might be Original, but when the maternal genes are consulted, my mtDNA is so rare it can’t be compared. I know it is after the event and we have already sampled the product, but going on these results, is there any chance I can get my money back? (1.) Helmut Koester & Thomas O. Lambdin, “Gospel of Thomas”, The Nag Hammadi Library, (HarperSanFrancisco, New York USA), Verse 86, p.135. (2.) Robert Lawlor, Voices of First Day, (Inner Traditions: Rochester, Vermont USA, 1991), Back Cover. My testing was through Ancestry. First results were a mixed bag with a surprising 14.9% of Iberian peninsula. Which through my extensive genealogy search was Not present. I thought, mmm ok grandma what have you done. But after they re-evaluated all values only six months later…. the Iberian peninsula had vanished as did my one percentages of Scandinavia, European jew, Greek and Italian. My African connection even changed countries. I have come to mistrust my government and now believe this whole craze is for identifying us. For what I do not know. For instance; I was diagnosed with stage 3 breast cancer in 2005 and foolishly let them toxify me with dose dense chemo, 39 radiation treatments and 12 accompanying surgeries. My thyroid was Killed in the process as well. But my point is while I was tested for all known mutations, I’m brac2 positive. Three months later I get a letter in the mail from the state of Oregon asking if they can keep my dna on file. I replied with a large black sharpie marker “If you do I’ll sue the pants off of “you”. Of course neither my geneticist, the hospital or the ONLY LAB in the world who had the technology did not know how the government in Oregon knew of my testing. Hahaha! Enjoyed the article! As it happens, I also am the recipient of Neanderthal genes, 2.8% and an astonishing percentage of Denisovan genes: 4.7%! – Are we related? 😉 . Quite a few years ago, I had my mtDNA profile analyzed which showed a mutation; 278, which connected me with some North American tribes who settled around the Hudson’s Bay area in the distant past. – As my ‘roots’ on both sides of the family for generations are strictly from the northwest area of England, it boggles the mind as to the intricacies of human migration! – The more I discover, the less I know!